Do the work once and get paid over and over again! If you have a great idea or product to share, how do you get it in front of the rest of the world? How do you make sure that the knowledge and expertise you have to offer is discovered by the people who need it? While you could present your service to individual people in individual settings, booking endless appointments and traveling from one location to another, that strategy is very time-consuming and certain to diminish the quality of your life. You may charge and earn very good money for presenting your services this way, but there are only so many hours in a day. You will only earn the amount of money you can make in those hours and you likely won't have a lot of quality time for yourself. In addition to this, you are limiting the number of people you can serve and help. 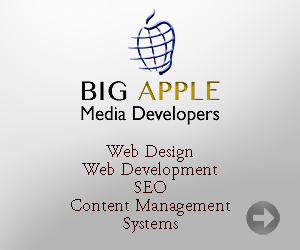 All this gives you very good reason to productize your services. What I mean by that is for you to take the knowledge and expertise that you personally deliver to clients and convert it into a product or programme that can deliver the results for you. By creating and developing products and programmes, you will increase your income - you will do the work once, and then get paid over and over and over again. For example, if you offer a workshop that draws a large attendance and earns high revenues, don't stop there. Turn that single event into a product that continues to earn money. Record the workshop and sell DVDs on your website. You will compound your initial earnings exponentially, just by creating a single product. Take yourself out of the delivery process, in the physical sense. But leave all of the information and expertise and character traits that make your offering unique. Do this effectively so that your product is truly reflective of your services, but be efficient as well. Don't get overly caught up in trying tocreate the perfect product. It's about getting your product on the market. You can always tweak and revise it as you go along, which will give you an upgraded product to add to your offerings later on. Here's a philosophy to live by. An okay product that is out there serving your clients while making you money is better than the best product that is still in development. That latter one won't put any money in your bank account. The best product idea ever is still just an idea. It isn't going to earn you any revenue. You don't need to spend months getting your product ready to go on the market. Get your product up and running - quickly. Spare yourself the time slaving over yet another round of editing documents or perfecting of audio files. Focus on the profits that are waiting for you by getting your product out there now. Put your time and creative energy into creating and developing your products and programmes. Make sure they are representative of the qualities that make you so special. Developing products and programmes will not only increase the number of clients you are able to help, and increase your income, but also give you more free time to enjoy a quality lifestyle.